The way you spend the first few days preparing for a project will determine whether the outcome is successful or not. In order to ensure that a project turns out successfully, it is necessary to draft up a good project initiation plan. 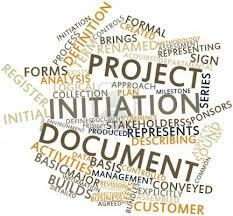 Whether you choose to create a project initiation document (PID), or just use project management software to document all necessary steps, coming up with an efficient project initiation plan will allow you to be confident about your project before it starts. You will feel much more organized, as being a project manager means being responsible for all stakeholders, schedules and budgets. Take the time to outline the important aspects. State its objectives, background, project scope, constraints, tools, and desired outcomes. Then, communicate them to the entire team to ensure everyone understands the goals of the project. Identify everyone who will working on the project, whether they are internal colleagues or external business partners. By understanding every stakeholder’s role, what they are expected to do, and also, what kind of support they expect from you. Meet with each of them and keep a record of the discussion points; these will serve as a basis for project requirements and for your project plan. One of the factors that contributes to successful project is proper budget planning. The more details you record concerning budget i.e. costs of resources, employee salaries, travel, equipment,and training, the more accurately you will be able to predict the project’s budget. This way, you will know what would be considered “over budget” and can step in and control it as soon as seems to go past it’s range. During the course of the project, risk factors such as schedule and budget overruns may present themselves. In order for risks to not interfere with successful project completion, it’s best to be able to identify risk right away. In the case that risks or unforseen changes present themselves, it’s best to be prepared by having a change control plan. New “Web 2.0” project management technologies can help save a lot of time. These types of tools allow you to identify risk early-on, and plan your budget and schedule according to your resources and work and cost estimates. We would love to hear your project initiation tips! Share them with us by leaving a comment.